Reptiles and amphibians are not my strong suit. It is not unusual for me to have trouble positively identifying some of the specimens that I encounter out in the field. On occasion I need a little help. For years Grant Shepard has been my go-to guy for herpetological questions, and he has never failed to come through for me. I have found his expertise to be invaluable. 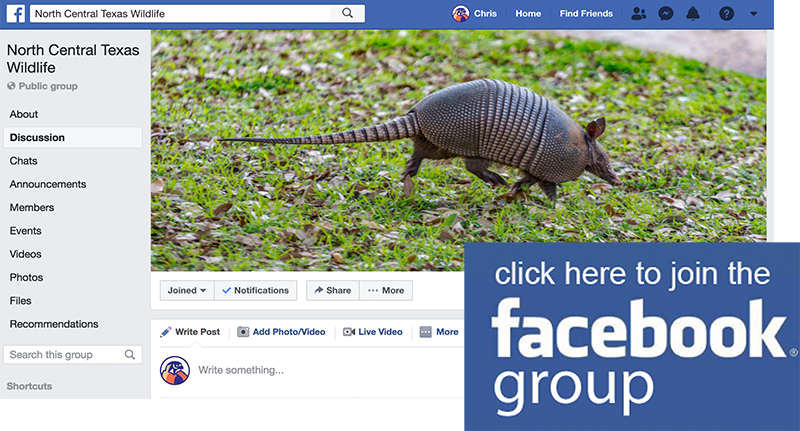 Now Grant is sharing his specialized knowledge about some of the world’s rarest salamanders—found right here in Texas—and he is sharing it with everybody! 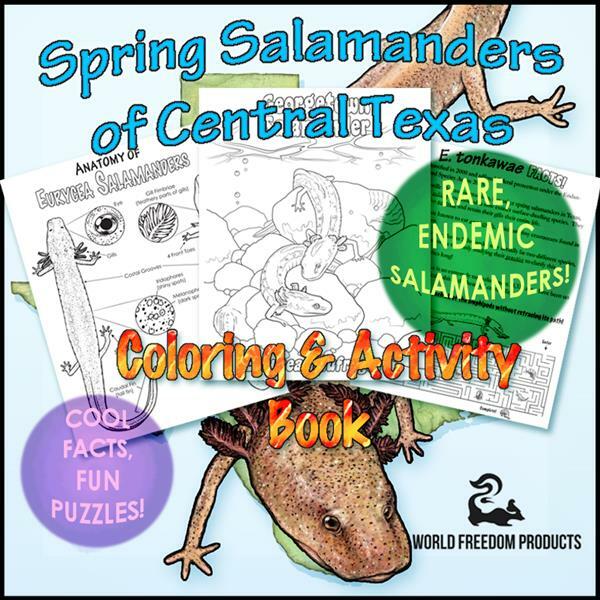 Grant has just published a new coloring and activity book about the spring salamanders of central Texas. 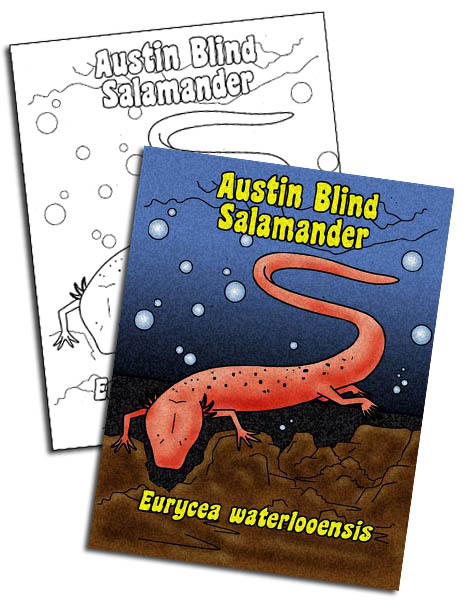 This 28 page book features six species of salamanders found only in the Edwards Aquifer region of Texas. The book contains great illustrations to color, word searches, games, crossword puzzles, and a vocabulary section. 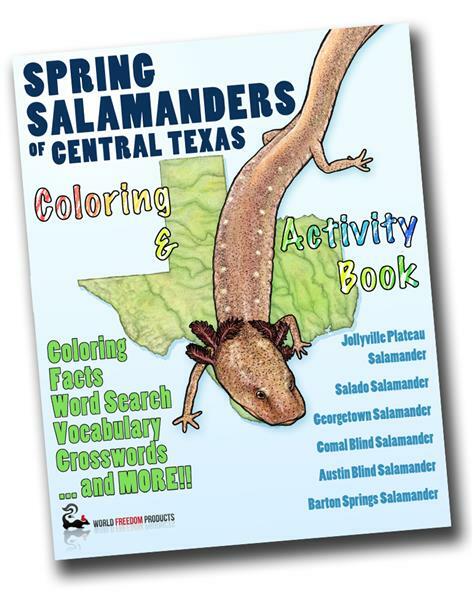 Facts and exercises are included to help children learn more about these important species of salamander in a fun way! The critical importance of the Edwards Aquifer is touched upon too. Grant’s book is appropriate for children age 5 and up. 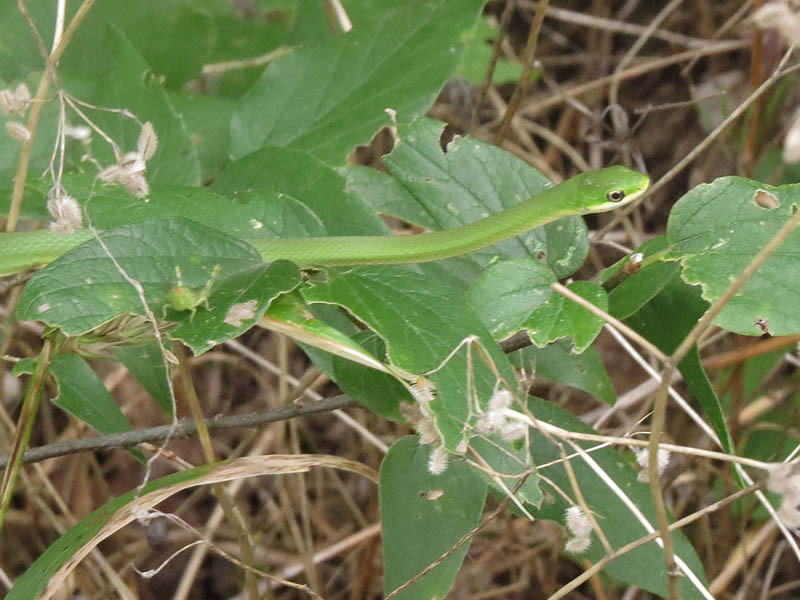 Featured Salamanders: Barton Springs Salamander, Austin Blind Salamander, Georgetown Salamander, Jollyville Plateau Salamander, Salado Springs Salamander, and the Comal Blind Salamander. I’m really excited about this activity book. This is exactly the kind of thing that I would have immersed myself in as a kid. In fact, I couldn’t resist coloring one of the pages myself! That’s my work below… Not bad, huh? I bet your kids can do even better! 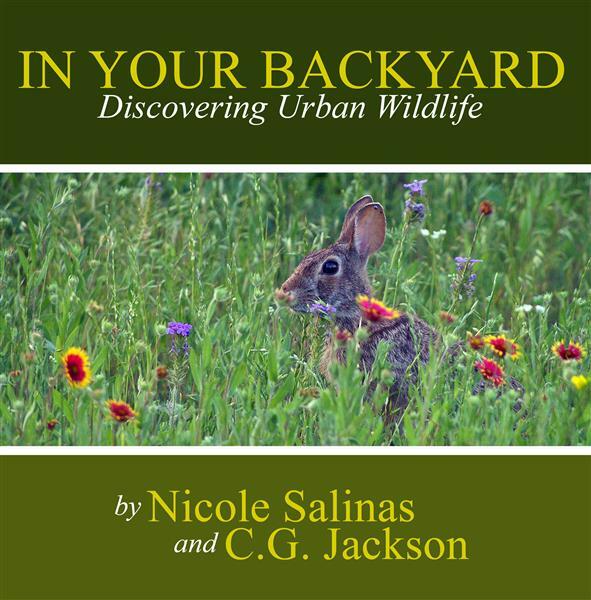 If you would like a copy of this exciting activity book for your budding young biologist, it can be purchased at World Freedom Products by clicking the logo below. Grant and I got out into the field together for the first time this past weekend as we did a little exploring in the southern reaches of the Great Trinity Forest. I have made this hike before in the past, but this time we pushed a little further north than I did last year. 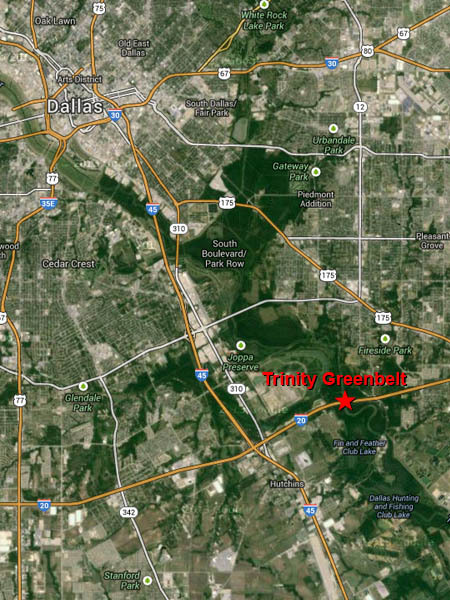 Trinity Greenbelt – The Gateway of the Great Trinity Forest. 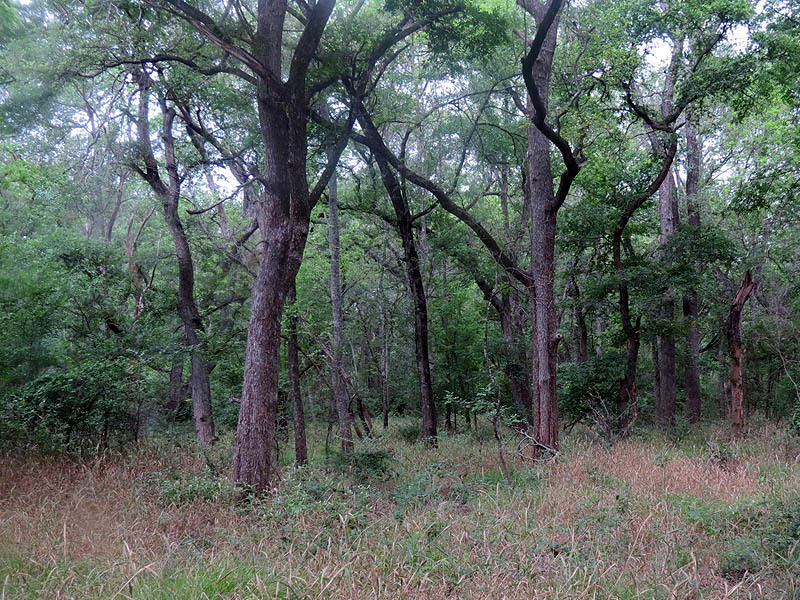 This part of the Great Trinity Forest is a real wilderness. There are very few trails down here. 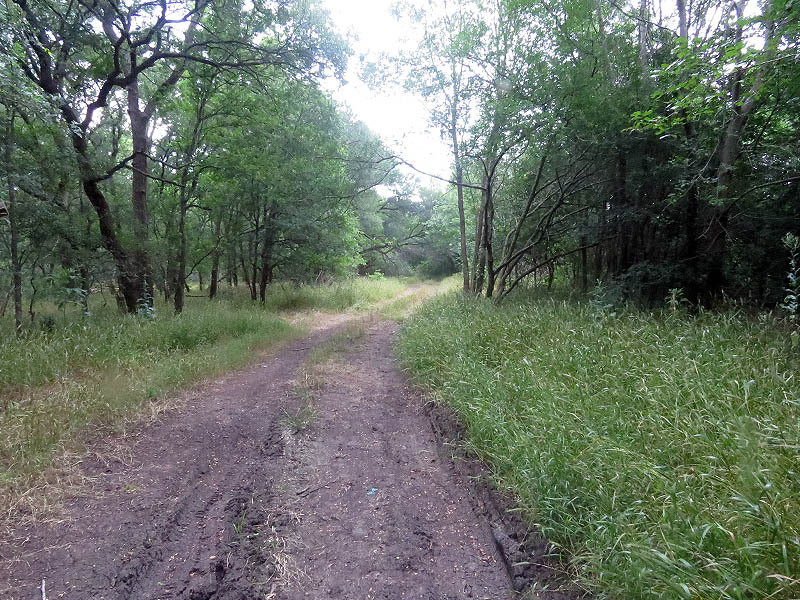 A hike through these woods requires making your own way, and that is exactly how I like it. There is a special exhilaration that comes with knowing you are in an expansive forest that few people have ever visited. 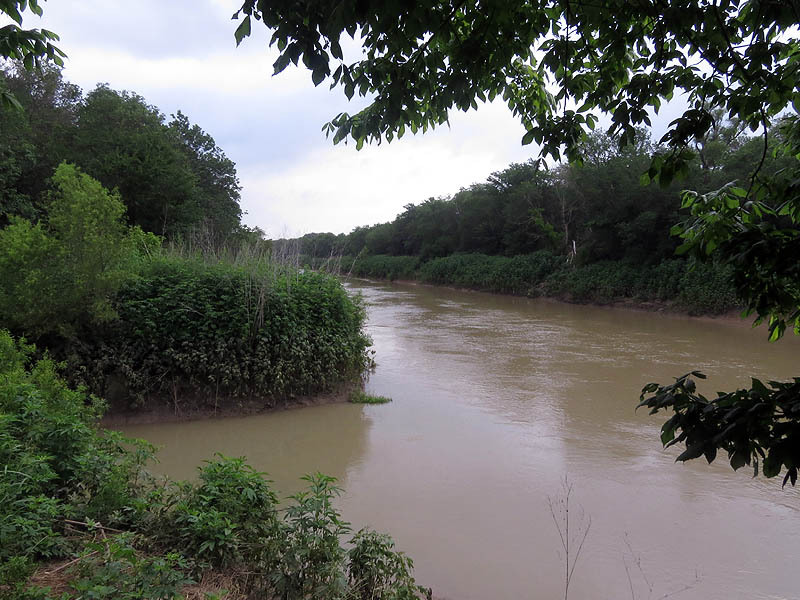 The southern reaches of the Great Trinity River are rarely visited. 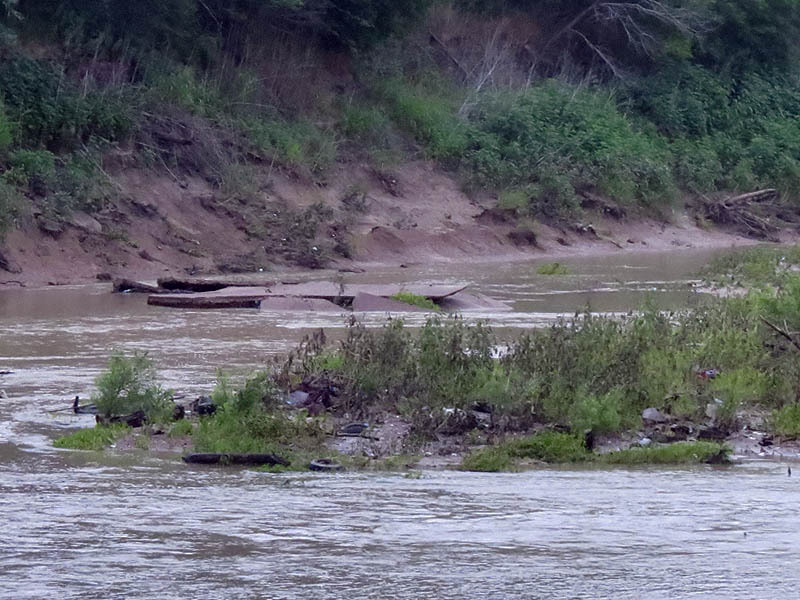 Recent rains have muddied the Trinity River and raised the water level by several feet. 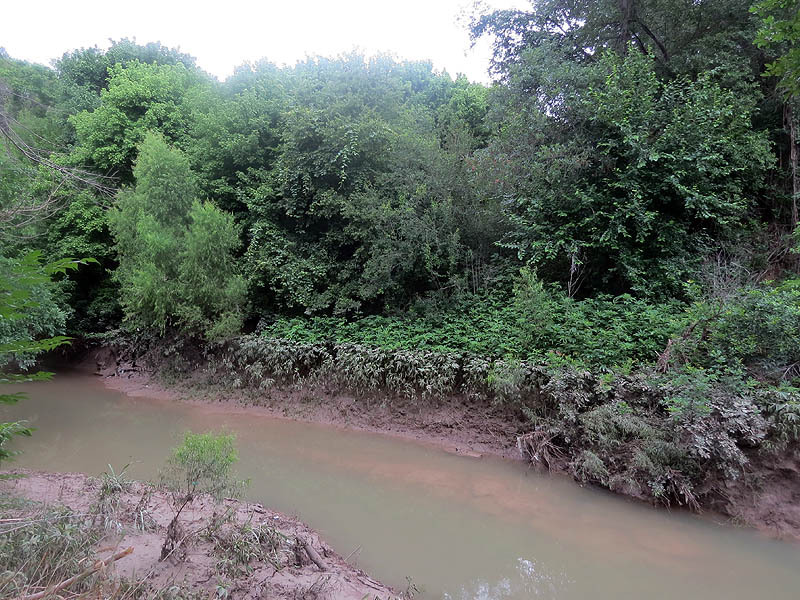 While these storms were not enough to cause the Trinity to overbank, enough water was added to backfill many of the river’s dried tributaries. This introduced some challenging new obstacles along the way, but also encouraged us to explore some new areas. 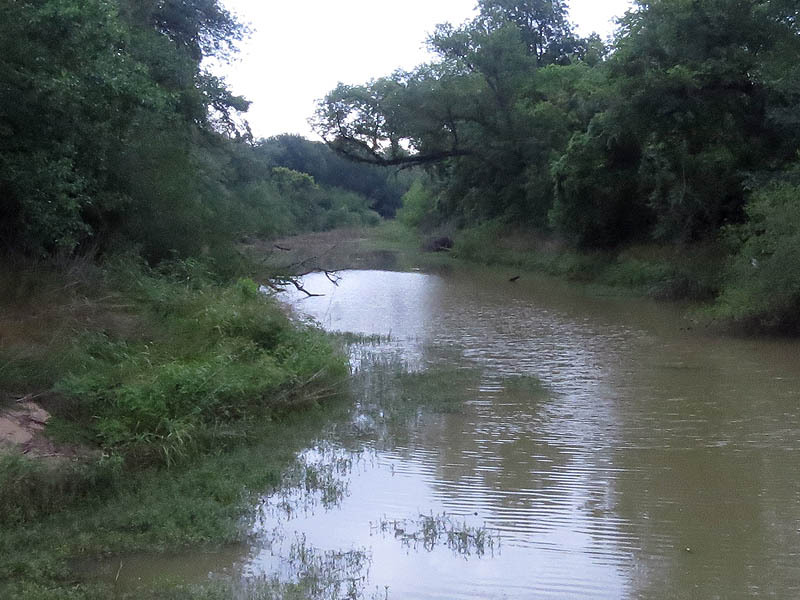 Before the construction of Interstate 20 in the 1970s, the Trinity River flowed through this channel. 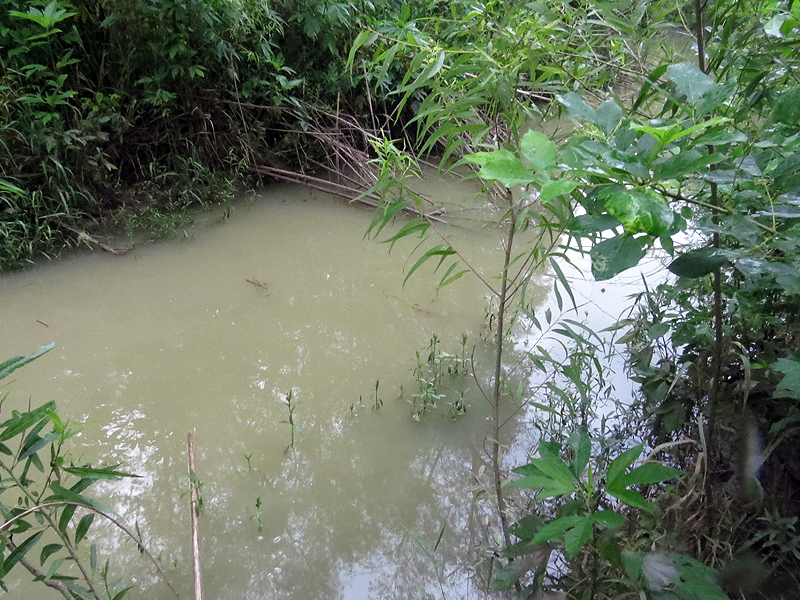 Now it is only a minor slough a few yards wide and only a couple of feet deep in most places. Last summer it was completely dry when I passed through this way. The old river channel holds more water the closer you get to I-20. 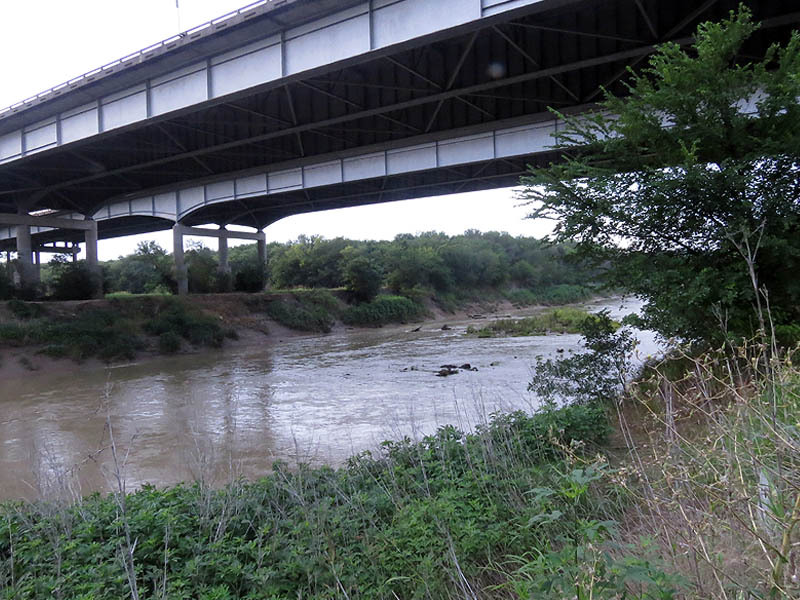 The real Trinity River as it flows under the massive I-20 bridge. 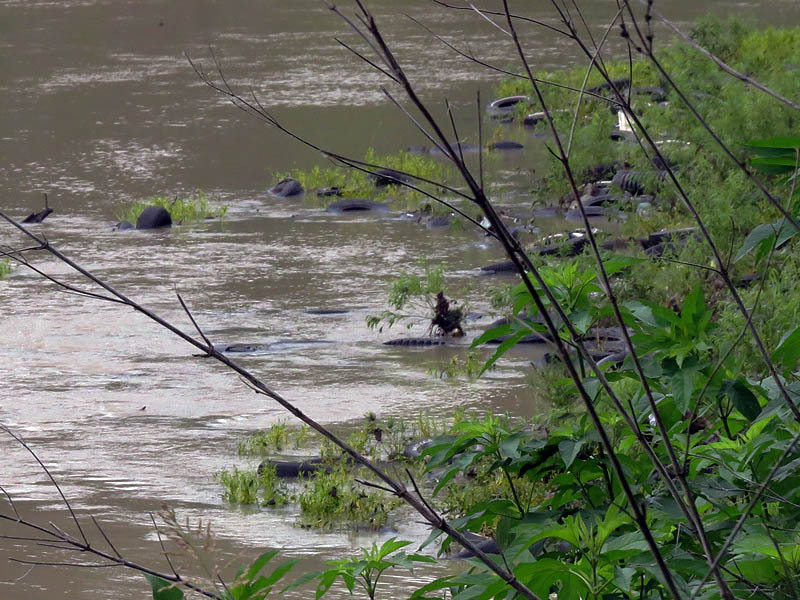 Sandbars form around masses of discarded tires in the flowing water. Giant slabs of concrete also litter the river. A section of a makeshift trail follows the river for a short distance. 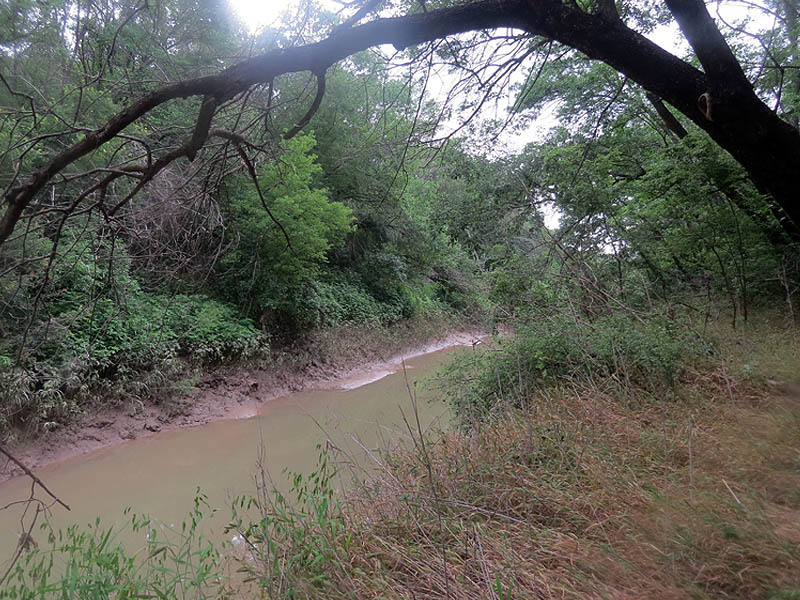 The confluence of Five Mile Creek and the Trinity River. Mass accumulations of tires littered the river here as well. 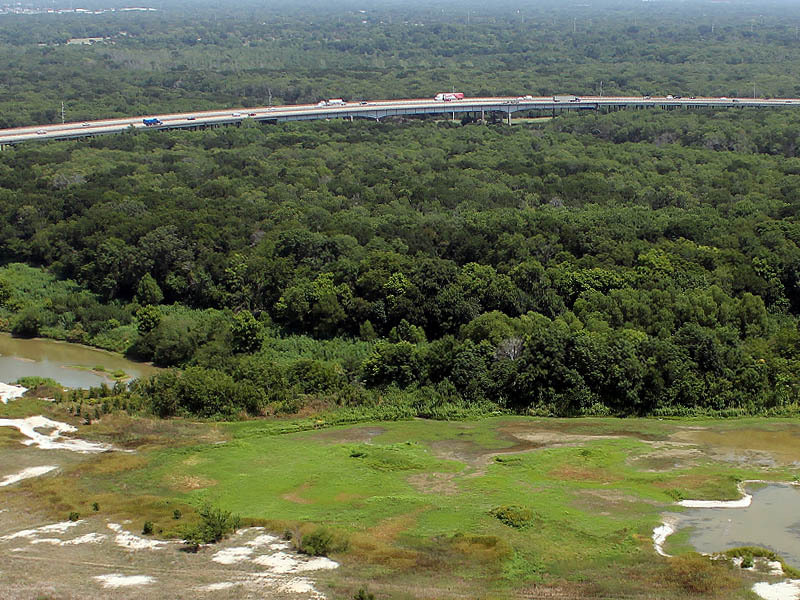 A lush and exotic environment surrounds Five Mile Creek. 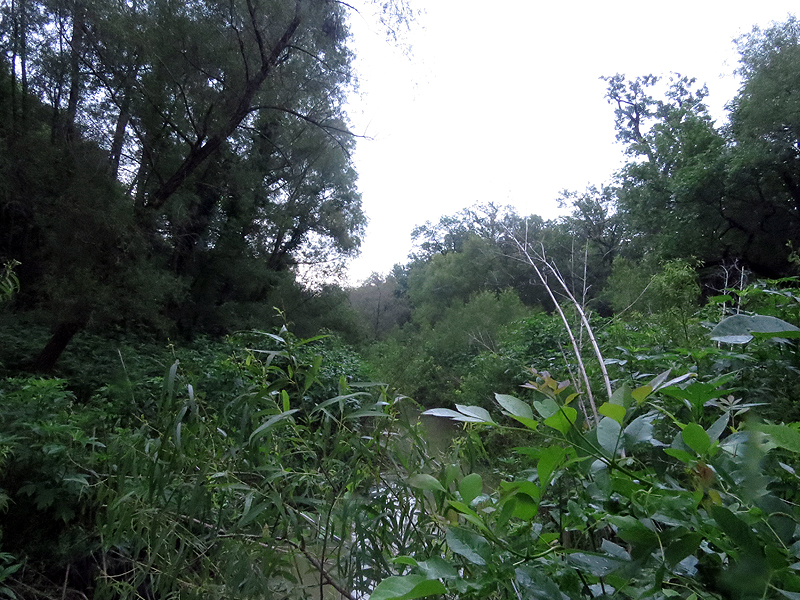 Large turtles and even larger fish were seen swimming through the murky waters of Five Mile Creek. 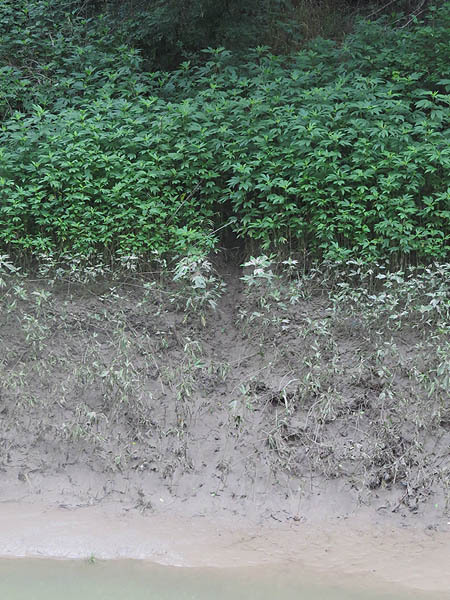 This looks like a River Otter slide formed on the muddy bank of Five Mile Creek. 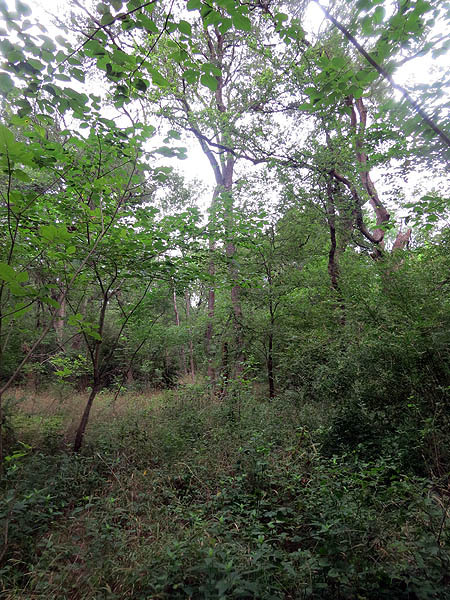 The forest is dense in this region. 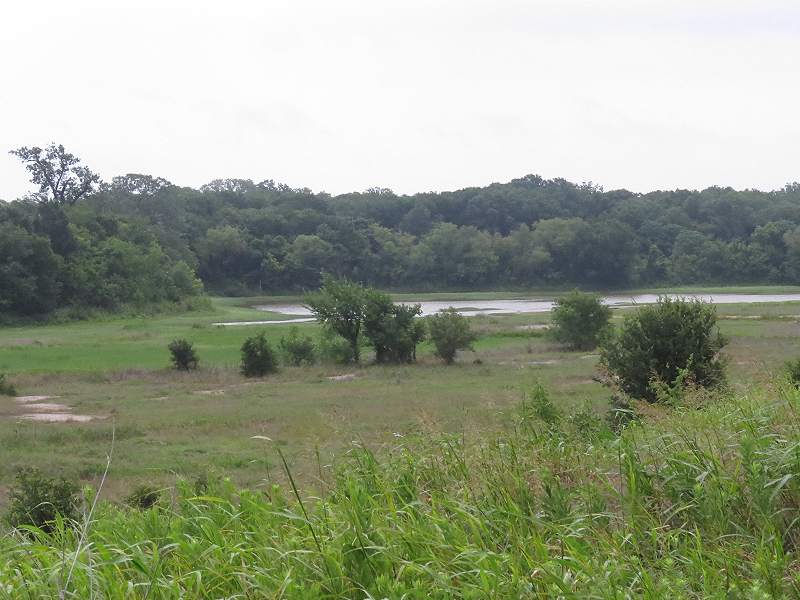 The Great Trinity Forest in far south Dallas. The weather was odd for June. The sky was overcast with a thick, low cloud cover and the humidity was high. We were rained on briefly on a couple of occassions. But the temperature remained unseasonably cool throughout the morning—it was still below 80F as we made our way back just before noon. Not bad for a summer day in North Texas. We did not see much wildlife on this outing, which may have been due in part to the unusual weather. But that was okay because this expedition was meant mostly for exploring, and we did plenty of that. Fortunately, we did make a few interesting observations. Of note was a nice look at rare Black-bellied Whistling Duck that we found on an island in the middle of a small, shallow lake. 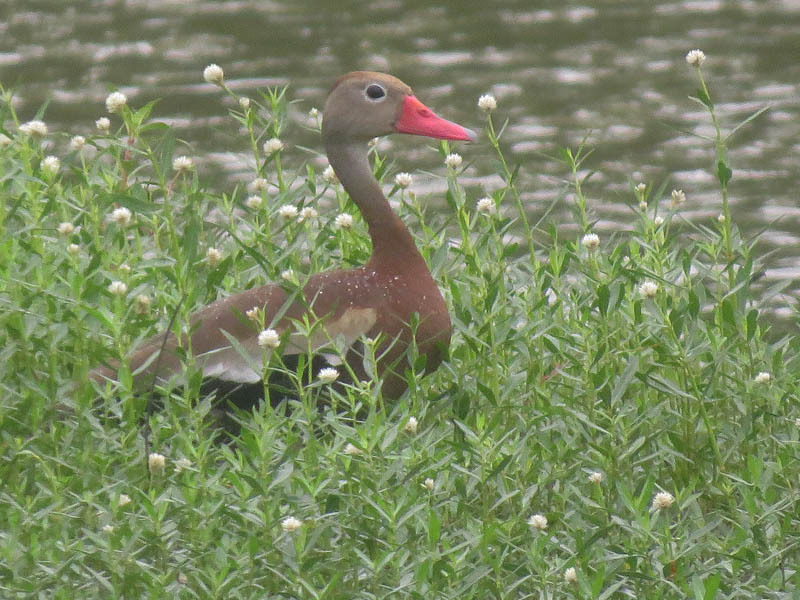 This is the first example of a whistling duck that I have ever seen in the wild. 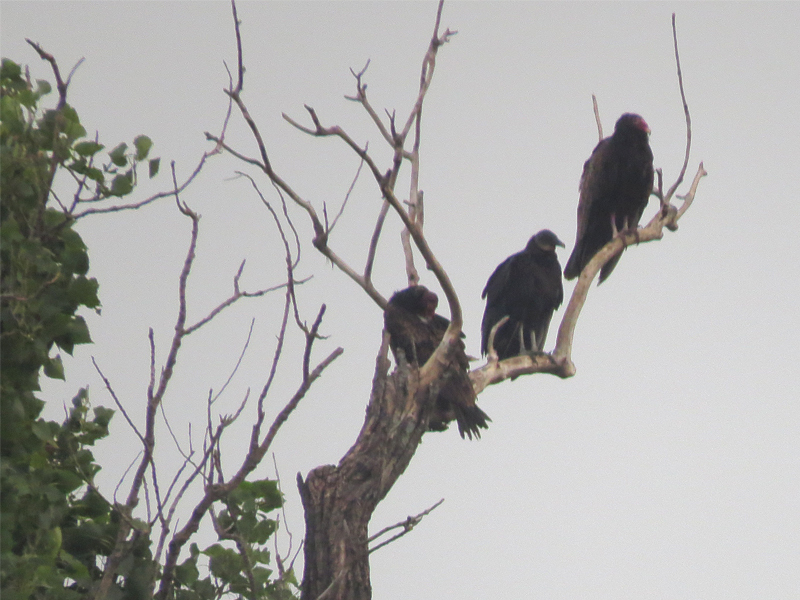 Two Turkey Vultures and one Black Vulture surveying the floodplain. 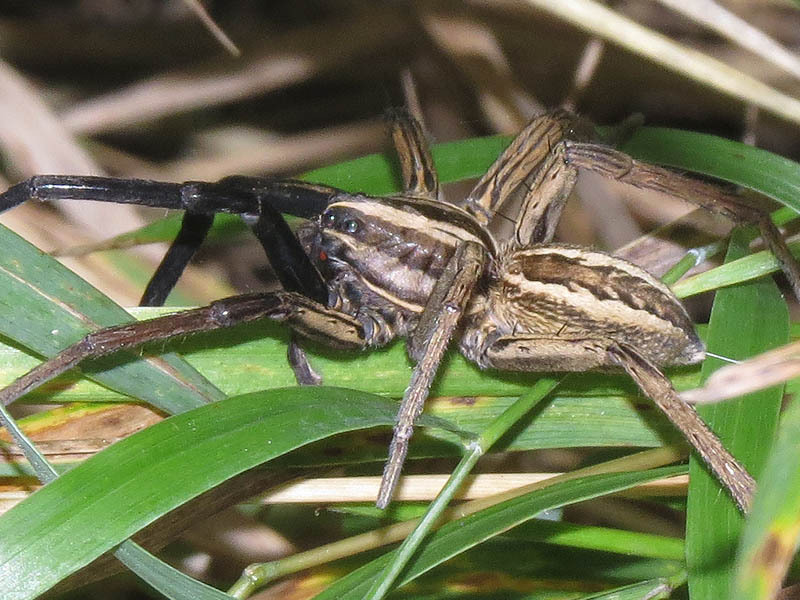 This Wolf Spider had a nearly two inch legspan. 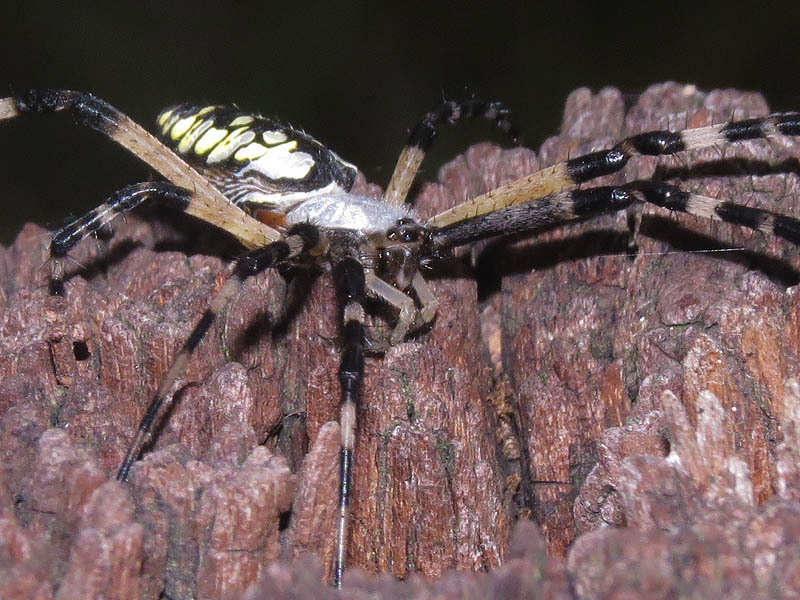 It won’t be long before the forest pathways are clogged with the webs of giant Black and Yellow Garden Spiders like this one. 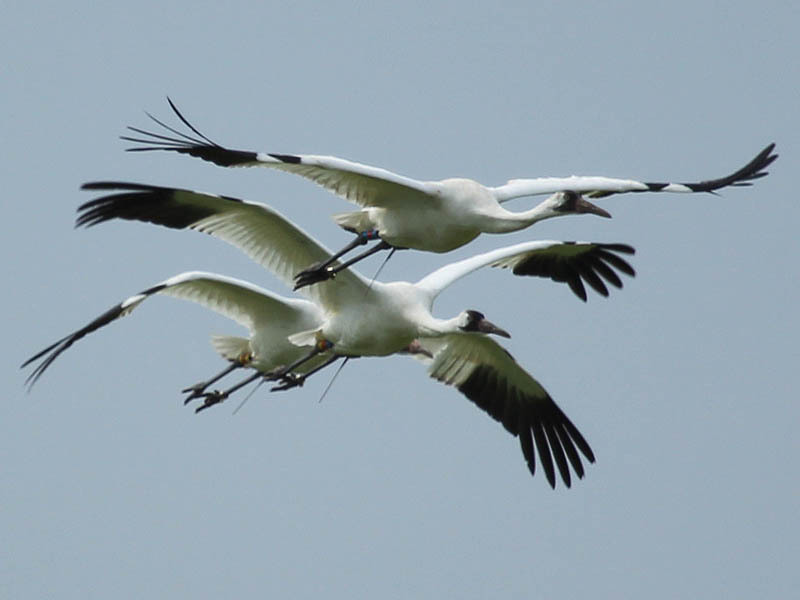 Announcement – Louisiana Whooping Crane Update!